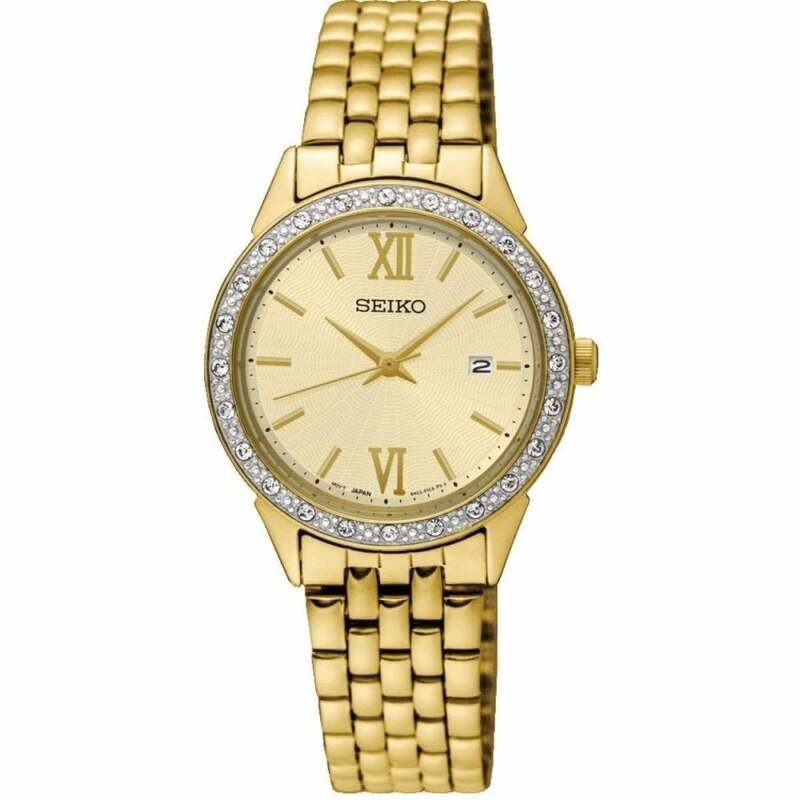 This Elegant Seiko SUR688P1 Gold Stainless Steel Ladies Dress Watch comes with a gold stainless steel strap sitting on a stainless steel stone finished bezel. The SUR688P1 has a date display, gold dial and gold hands. This watch comes with a 2 year manufactures warranty and free UK delivery.